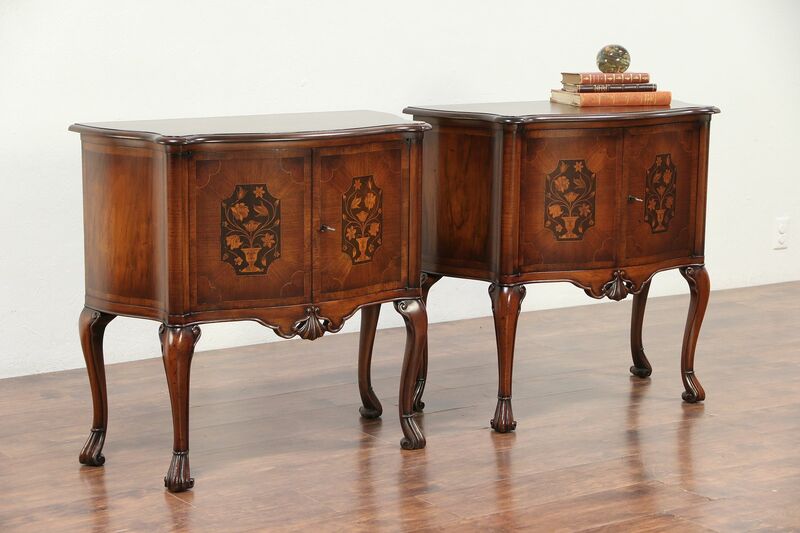 An elegant pair of end tables, nightstands or hall console cabinets are walnut with inlaid banding and marquetry designs of ebony, burl and satinwood. Hand crafted in Italy about 1920, fronts and sides are gracefully curved. The restored satiny finish is in excellent condition on this antique furniture from Italy. Doors have working locks. Dimensions are 33 1/2" wide, 17" deep and 32" tall.